Have you ever been to an event that you immediately knew, you would never leave the same way you came? 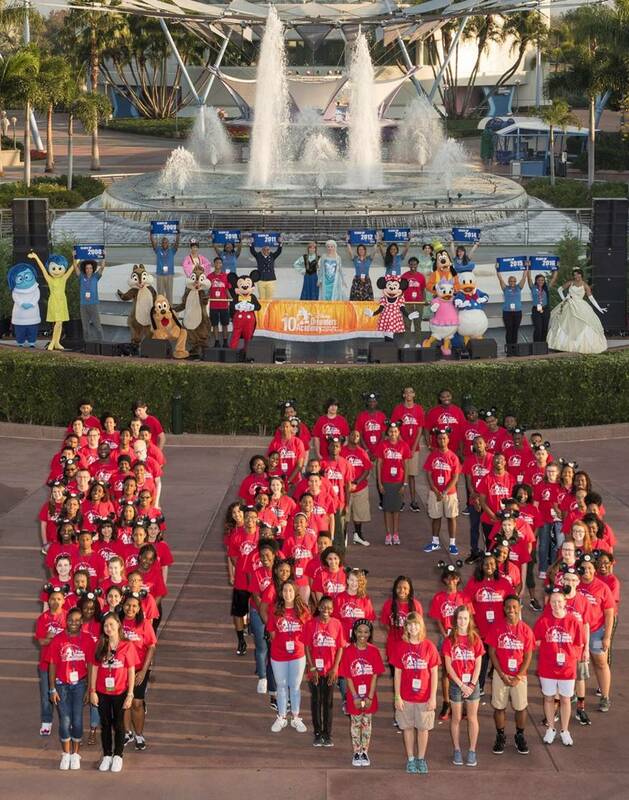 This weekend I had the pleasure of attending the 10th Annual Disney Dreamers Academy in Walt Disney World. 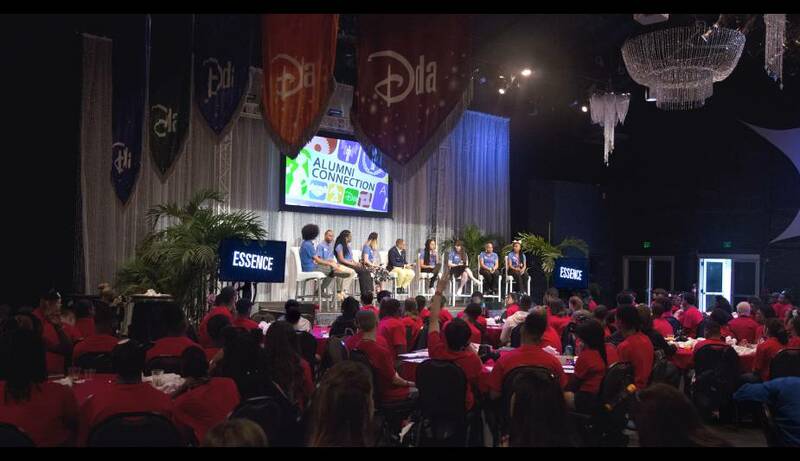 For 10 years, Disney World along with Steve Harvey & Essence Magazine have been educating 100 students with a full weekend of dream building. Thousands of students apply each year, and only 100 get in. With this year being it’s 10th Anniversary, there are now 1000 students (or “Dreamers”) that have been able to benefit from this mind altering / life changing experience. What Happens After Disney Dreamers Academy? Some might ask, what happens after you leave the Disney Dreamer Experience? Does it really make an impact? That question was answered for me when I met 9 Disney Dreamers Alumni. The Dreamers Academy brought back 1 Alumni from each year for the 10th year celebration. I was given an opportunity to sit down with a few of them and actually hear how their life was impacted by the Disney Dreamers Academy & why teens should apply. With over 100 Disney Dreamers and 10 Alumni in attendance, we were still given the opportunity to connect with a few on a deeper level. Like 2008 Disney Alumni Tevyn Cole, my son loves to dance. It’s in his soul. When music starts, no matter where we are, he starts moving. He recently entered a talent show at his school and placed 2nd (with a dance routine) out of 12 contestants. 10 out of 12 contestants were singers. When I heard about Tevyn Cole, and how after coming to Disney Dreamers in 2008, he realized his passion for dance was real. He was brave enough to pivot his career & make his dream his career. My Mickey ears perked up and I had to speak with him. His story is something I want to share with my son and other parents who have children that have a passion for the arts. Me: Was it hard for you to say, “I want to be a dancer!” When so many students pick a engineer, doctor, lawyer or things like that? Tevyn: Anyone that wants to pursue the arts has to deal with that viewpoint from the outside world, “You want to sing and dance?” You have relatives that say, pick a job that provides financial security or is more realistic. I’ve heard it all and dealt with all of those emotions. However, entertainment is the only thing I could see myself doing. You have to really be in touch with what you want to do and be passionate about it to pursue it. Me: How did your parents feel about your choice to purse dance as a career? Tevyn: My parents have always been my #1 support system. Even when I had other businesses, they would drive me to my events. They are the perfect example of parents who are supportive. I am extremely lucky. I know not everyone has that. Me: Were you a dancer when you came to Disney Dreamers? Tevyn: I created T-shirts that educated people. I put black history facts on T-shirts to uplift my classmates. I was in a rural area where black history wasn’t a main focus. But when I thought long term about dedicating my life to something. I felt more connected to the arts. I still want to motivate and inspire other minorities but I wanted to go a different route. I wanted to work in an area that I am willing to pour 100% of my life into. That’s dancing and performance. Me: I heard you mention you believe in the power of speaking what you want into the atmosphere. You even mentioned how you spoke, “I am going to Japan” and a few months later you were there. Tell me more about speaking things into existence and how it works for you. Tevyn: I spoke being a Korean pop (KPop) background dancer into existence. I was 15 in Japan, and I loved KPop so much that I said, “I am going to be a KPop dancer.” I didn’t know how at the time. It took longer because it was a bigger goal, so when things are becoming aligned it takes a little longer behind the scenes. There are things that line up without you even knowing they are lining up. The second thing that came into existence was my mentorship with my favorite choreographer in the world and being able to train under him for almost 2 years until his death. That was something I wanted to believe 100% it would happen, but even I was like “Whoa this is a big dream!” and it happen faster than I thought it would. It was 1 month later. That shows me that you have to have that belief behind what you say. Me: Why would someone apply to Disney Dreamers? Tevyn: Because they want more! There will always be people that want to settle and feel comfortable. That’s also ok if you like where you live and want to stay. There has to be people that stay, however there has to be people that go and expand. Anyone that wants something more out than life is currently giving to them, should definitely be here. Its going to be that kick-starter for you. Tevyn: Absolutely! I feel like when you receive you also have to give. I am completely into giving back when I can. We can Skype! Here are a more Disney Dreamers Alumni & their bio’s below. These young adults are doing amazing things in their community and business. Honestly, I felt like a slacker. 2008 | Tevyn Cole attended Disney Dreamers Academy at 15 years old. During the program, Tevyn discovered his true passion was dance and has since traveled the world pursuing that dream. Today, Tevyn works as a choreographer and dance teacher in Hollywood. He has choreographed and danced in music videos for artists including Alicia Keys, Zendaya and rising pop artist Ellise as well as for major brands and events including CBS and L.A. Fashion Week. 2009 | Derrick Elliott came to Disney Dreamers Academy with the dream of achieving a military career. Due to that hard work, Derrick achieved the rank of Captain in the United States Army. Today, he works for the government and continues to dream big with the goal to one day be the Chief Justice on the United States Supreme Court. 2010 | Ebony Johnson began college as a speech and hearing major, but realized it wasn’t her passion. Recalling the lessons she learned at Disney Dreamers Academy about following your dreams and talents. Today, as a college graduate, she is turning the baking business she started as a teen into a full-time career, selling her sweet treats online to local customers as she prepares to open Soul Sweet Bakery in Charleston, S.C.
2011 | Princeton Parker first came to Disney Dreamers Academy with an unmistakable talent for public speaking. During the program, however, he saw firsthand how that talent could be used to motivate and help others. It wasn’t long until he was using that very gift at Disney Dreamers Academy. 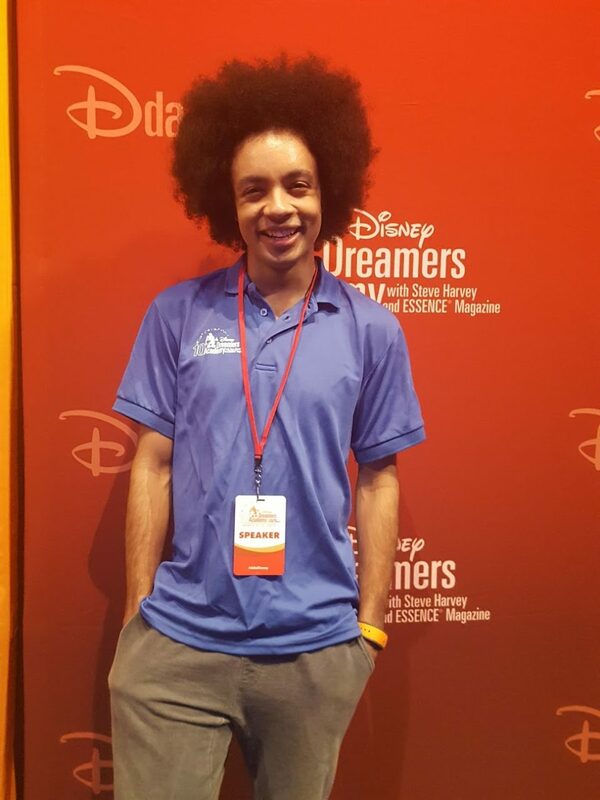 In 2012, he was selected as a program ambassador and in 2014 became the only Dreamer to join the Disney Dreamers Academy Speakers Resource Group, where he helps select the new class of Dreamers and serves as a program host and inspirational speaker during the event. Today, Princeton is a graduate from the University of Southern California with a degree in communications and works for the Walt Disney Company full-time as a stage manager at Disneyland. 2012 | Cathleen Daly is currently in her senior year of college at Grand Canyon University in Phoenix, majoring in communications. Disney Dreamers Academy opened her eyes to the world of possibilities and showed her its okay to explore different passions. The pursuit of her dreams has led her to a wide variety of experiences including interning for Senator John McCain’s re-election campaign, co-hosting a television show, running her own blog and volunteering with her adoption agency, Chinese Children Adoption International, to visit orphanages in China. 2012 | Taylor Carter While at Disney Dreamers Academy, Taylor made connections that helped show her the path she needed to follow to achieve her dream of being a singer and actor. Through those connections, she sang with pop star Jordin Sparks, met the cast of Broadway’s Porgy and Bess and opened for R&B artist Mario. She is now following the lessons she learned from those professionals as she records her first album, “Motion Picture,” and recently released her first single, “Big City.” This year she will be featured in a PBS special and performs regularly as a singer and an actress in Chicago. 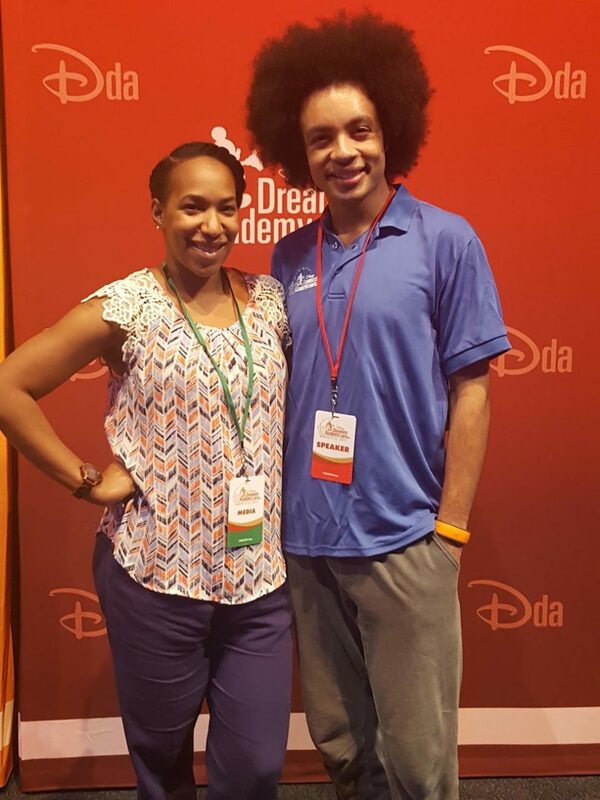 Taylor passes on the lessons she learned at Disney Dreamers Academy to the next generation as a teacher at performing arts camps in her hometown. 2013 | Kayla Jackson is currently attending Rutgers University, and was recently named one of the college’s 250 most influential students in its “250 for 250” series. At Disney Dreamers Academy, Kayla learned that failure is merely a learning opportunity on the path of realizing one’s dreams. She is now working on her third business since the program. She was fortunate to sell her first company before graduating high school, but she hadn’t experienced entrepreneurial success since then. She is now using the lessons from her second business to lead her to success on her newest effort. Her new company, PeduL, is a crowd-funding platform where students can run fundraising campaigns to help finance their higher education expenses. 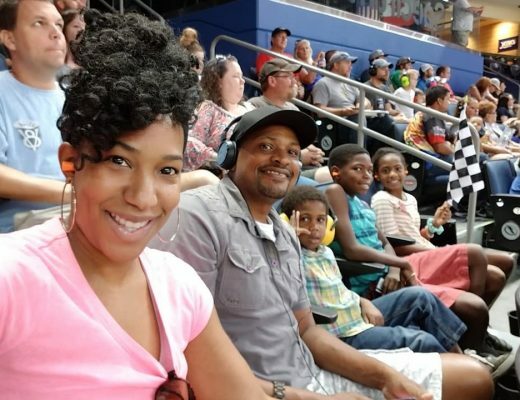 In addition, her go-for-it attitude has allowed her to secure partnerships and mentorship opportunities with Richard Branson, two NBA Champions, Forbes, the Huffington Post and the editor-in-chief of ESSENCE Magazine. 2014 | Pavlina Osta learned the importance of networking and finding mentors during her time at Disney Dreamers Academy. Using those networking skills, Pavlina landed an opportunity to live and work in New York City as a radio host and producer. She is now a producer for the radio broadcast group Salem Media and with radio shows hosted by celebrities Mike Gallagher and Joe Piscopo. Pavlina continues to host her own nationally syndicated radio show, The Pavlina Show. 2015 | Sanah Jivani went into Disney Dreamers Academy unsure if she would be able to successfully manage her organization while also attending college. 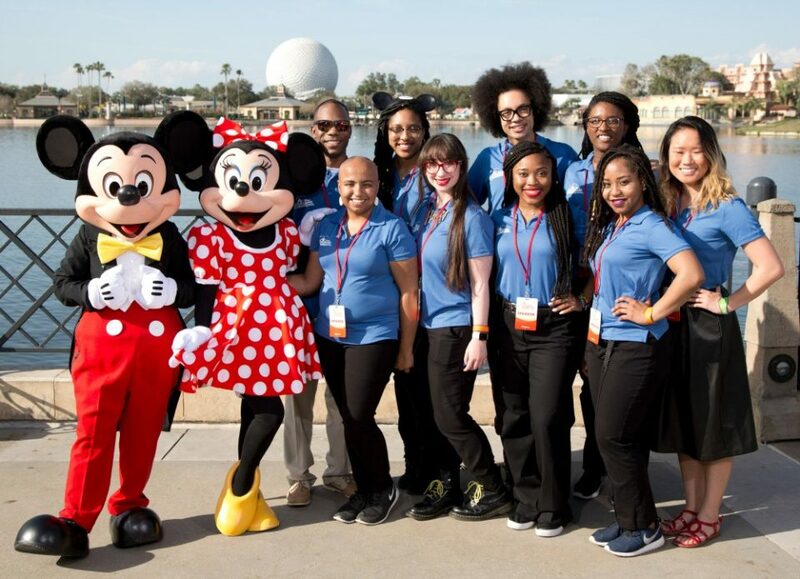 At Disney Dreamers Academy, she acquired the confidence and tools to grow and promote her non-profit self-esteem movement, Natural Day, while also receiving a higher education. In November 2015, Sanah gave a TEDxYouth Talk called “Imperfect and Proud,” and today, Natural Day, which encourages people to celebrate their natural and unique beauty, has expanded to 61 schools in 28 countries. 2016 | N’Naserri Carew-Johnson was motivated to initiate the change she felt her community desperately needed. 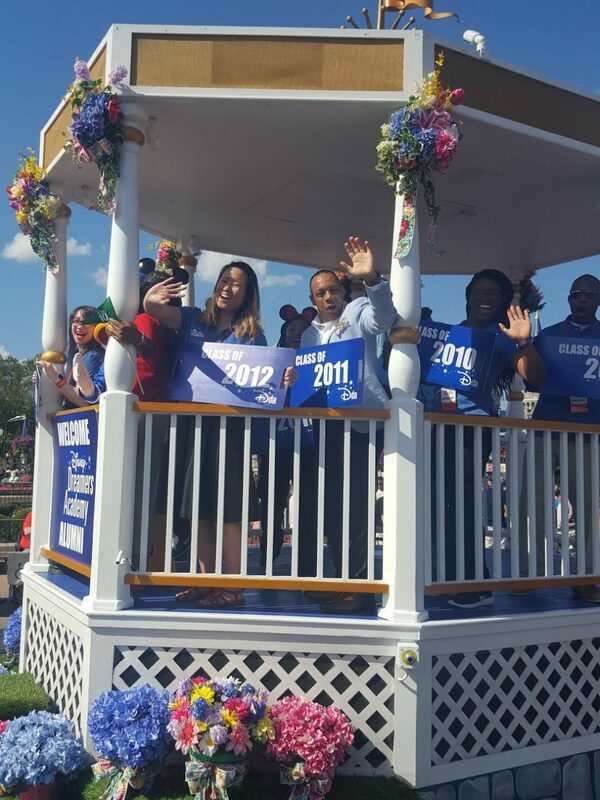 Using the knowledge and inspiration she gained during the program, N’Naserri has launched two charitable programs since she attended Disney Dreamers Academy just one year ago. Last summer, after losing two friends to suicide, N’Naserri sought action and launched Strength Over Society, which performs community service projects and provides a safe space for young people to discuss social issues. Her other organization, Friends’ Birth Connection, links members with children in shelters and orphanages who share their birthday and sends party supplies, to help them celebrate. Please come back soon because I will be sharing more interviews on a few more Disney Dreamers Alumni and other stories about how lives are changed because of this experience. Bernetta is the creator and primary content creator for BernettaStyle.com. This website was created to motivate women to live simple, smart, and inspired lives through stories of motherhood, wife life, and so much more. Bernetta is a lovely wife and mother. She enjoys reading, staying active and trying new things. Disney on Ice Review: LOVED IT! Wife. Mom. Goal-digger. Living life one great opportunity at a time & hoping to motivate and inspire others in the process. Help, How Do You Handle a Disrespectful Husband? "My WIFE Still Talks to Her EX-LOVER More Than I ReallyWant Her To!" HELP!